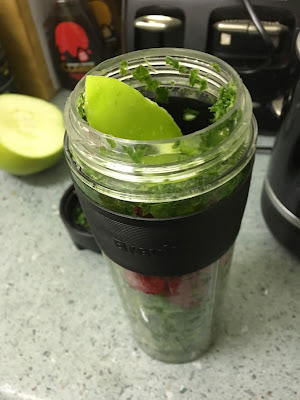 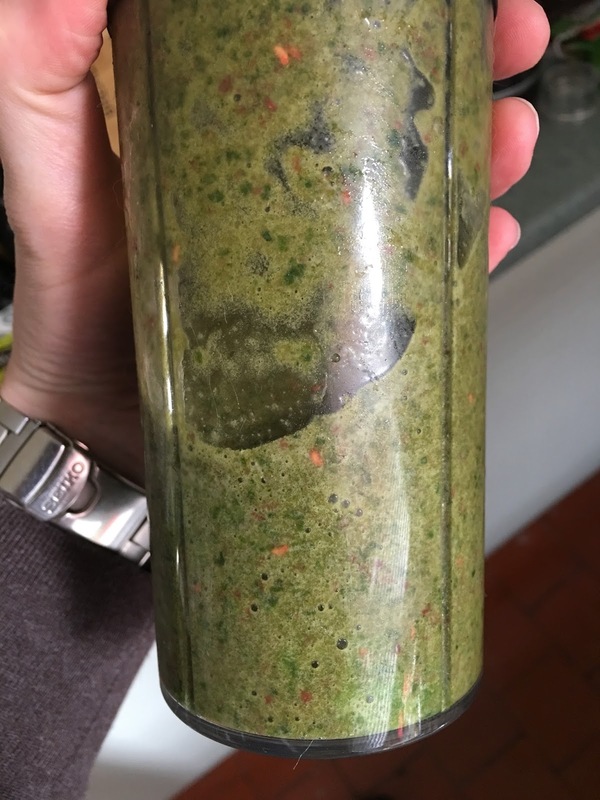 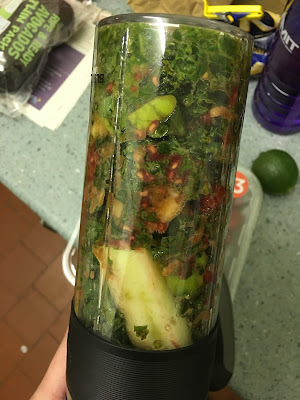 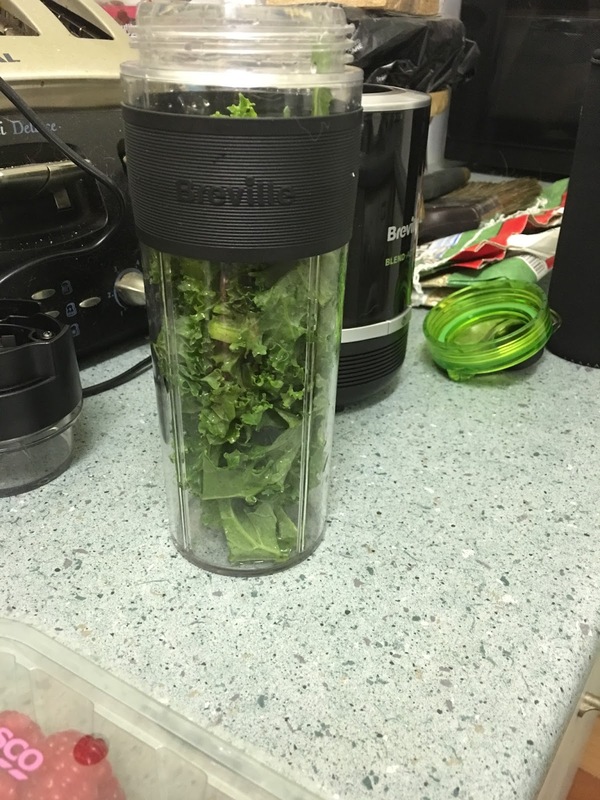 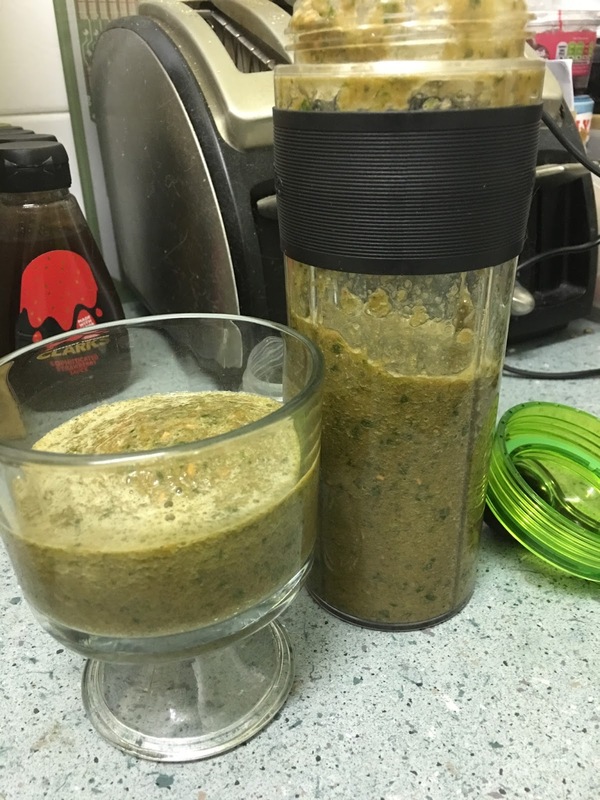 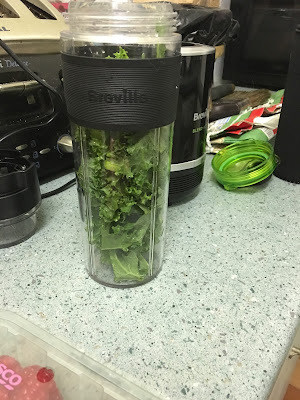 I recently acquired a blender - and halloween is the season for witches brews and odd concoctions so I decided to have some fun and make highly nutritious blended drinks that don't look at all appetising! And as usual the star of the show is kale - super kale! Here we have realised that the light stuff needs to go BELOW the heavy stuff to actually go near the blades. 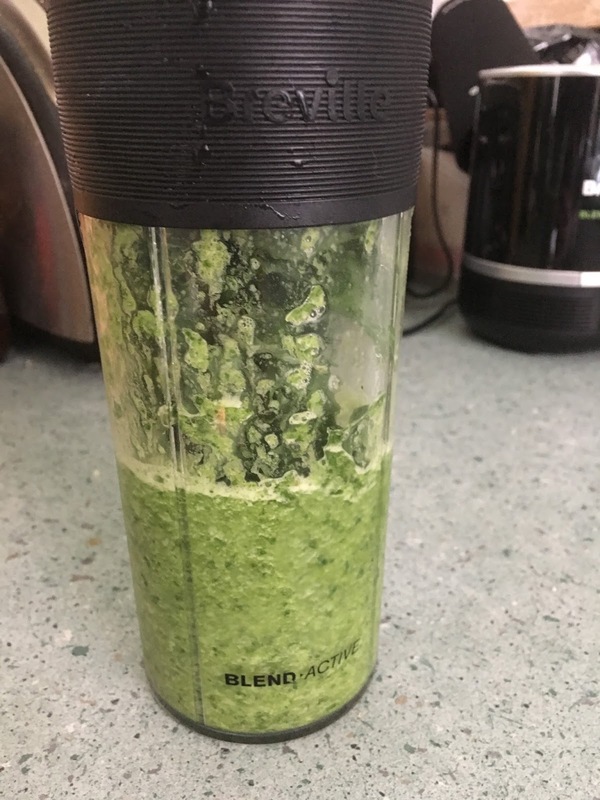 I've been used to the old school drop-stuff-in blenders with the proxy pole so this is all backwards. The apple goes in! 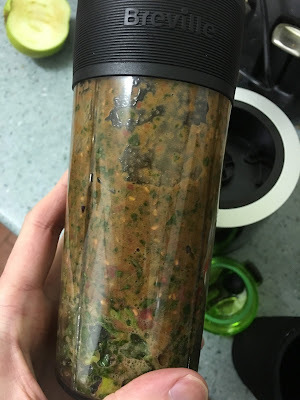 It looks like compost! 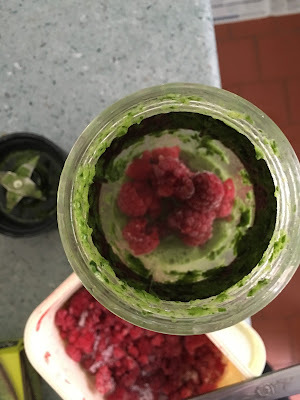 The raspberries were supposed to add a ghoulish touch but they blended so much easier than the kale did so its a bit gardeny at this stage. 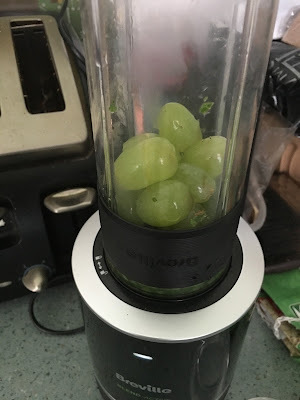 Attempt two saw me put the grapes in first. 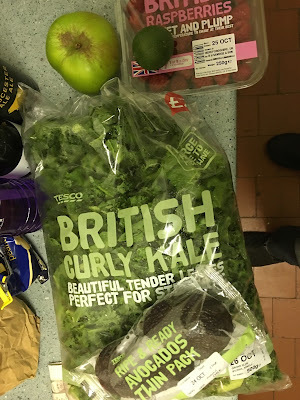 THEN the much lighter kale. This one has a lot more texture to it too, and does the wonderful odd clumping that blended fruit drinks do. I took this to work and while no one offered to help drink it it was smooth enough and tasty enough to drink through the hole at the top.